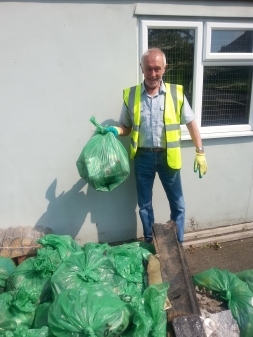 June Litter Pick Bags a Load of Rubbish! 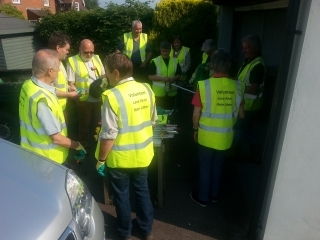 On Sunday Morning, twelve stalwarts of the parish gathered in the early morning light on the Green to tackle the litter along Ewell Lane. Resplendent in Hi-Viz yellow jackets and clicking pickers provided by MBC, the volunteers divided in two teams; one to clear the lane towards Heath Road, the other down towards Lower Road. To safeguard the pickers, vehicles were following them carrying warning signs. 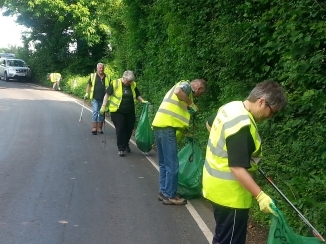 The road was thankfully fairly quiet and the pickers were able to attend to the task without much distraction. It was surprising just how much litter there was once you deal with it close up as opposed to driving by. 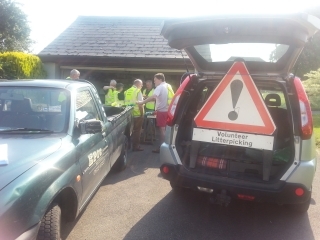 The teams collected 26 bags of litter comprising wing mirrors and other car parts, plastic bottles, hundreds of assorted cans and containers and packaging. The total was an impressive 98.1kg! A date for the next litter pick has not been set, but it may not be until the Autumn when the undergrowth has died back a bit to reveal the junk.